Racheal Kwacz is a Child & Family Development Specialist, mama tribe advocate and writer. As creator of the “RACHEAL method”, she combines her 20+ years experience working with children in the USA and in Asia with the foundations of “Respectful Parenting”. She was the Program Director for a national accredited child care center in the USA and has also developed and taught different programs for preschools in Springfield, Missouri, Pensacola, Florida and Kuala Lumpur, Malaysia. She provides parenting coaching sessions to help you build and maintain joyful, loving relationships with your little ones. There are limited spaces available. To confirm your spot, please fill up the form below and do a bank transfer to our Maybank account 5141 9634 5093 under the name “Integricity Visuals Sdn Bhd“. Email the transfer slip to [email protected] or send it to us via WhatsApp at +6017-612 0717. Fees paid are for 1 person only. It is non-refundable but fully transferable to another name. 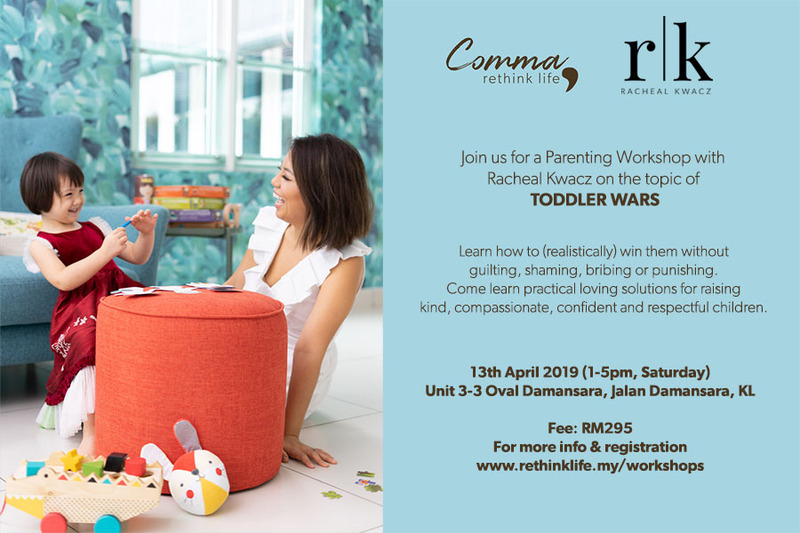 In order for you to get the most out of this workshop, we encourage you to make arrangements for childcare during the workshop session as this is a child-free event. Oval Damansara is an office tower that is located along Jalan Damansara. It’s actually next to Damansara Kim and very nearby Taman Tun Dr Ismail. © 2019 RethinkLife by Stories.my.